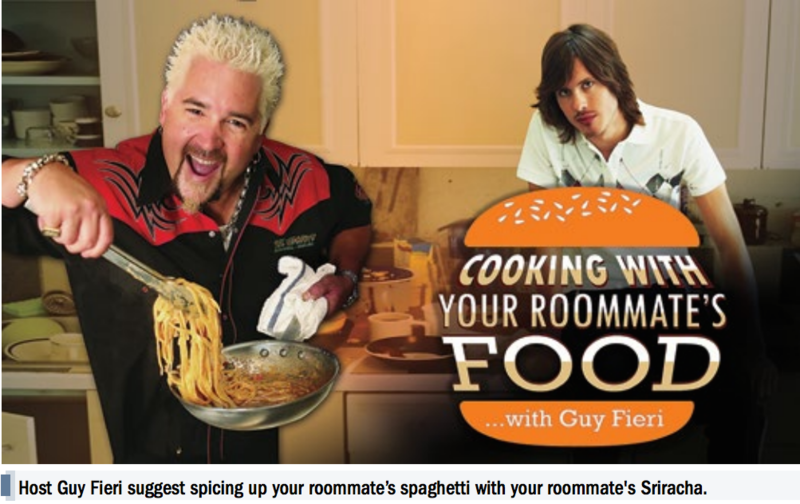 After the success of a number of reality cooking shows, the Food Network recently aired its new show “Cooking with Your Roommate’s Food,” starring Guy Fieri. With a selection of student guests and their irritated roommates, “Cooking with Your Roommate’s Food” is a high-stakes competition in which cooks must race against the clock to prepare a meal using only ingredients from the fridge marked by their roommates. Many contestants were particularly excited that the show teaches beginners the art of dorm cooking.